Nuno felt technika velto pleduko video pamokėlė skirta visiems, norintiems savo rankomis suglostyti švelnutį šilko-vilnos rankdarbį savo mažyliui. This tutorial based projects you can sell online, but you must give me credit for the tutorial with a direct link to it or other my creations, which inspired you:) (found in my Etsy, Facebook, promoted/discussed on the blog or personal website). 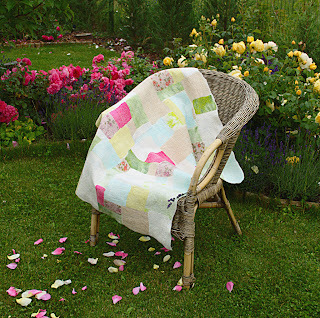 In this video tutorial you will see, how to make an unusual patchwork using nunofelt technique. 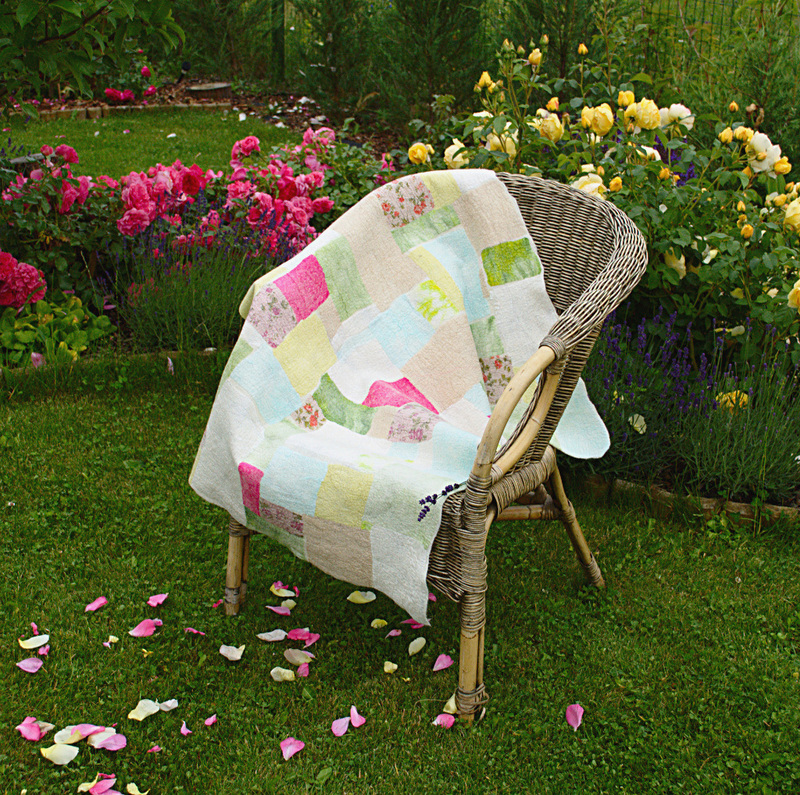 You can find such baby quilts of silk and merino wool here in my shop. Necessary materials - natural silk fabric patches and soft merino wool (16-18 mic). I use silk ponge, silk chiffon also can be used and chiffon is easier to felt into the wool, but it makes a bit diferent surface (smaller wrinkles and I love wrinkles:)). 1. Prepare patches, better with frayed edges - that is why it is better to rip the fabric instead of cutting. 4. Lay the wool, one layer along and second across. 5. Gently squeeze the wool with dry hands and pour soapy water. Cover your project with a buble wrap and squeeze the wool,until all gets wet. Stroke, squeeze, use tools for gently rolling if you have. 6. Flip your project on the other side. Carefully fix the patches if needed. and begin to roll. Gently roll 50 times from one side, and 50 from the other - without squeezing. Unroll, fix the patches if needed. Fibers of the wool went through the fabric it is your last chance to fix the patches. When you do it, roll again - 100-150 times from each side of the blanket. This time squeeze while rolling. 7. When fabric is felted in, you can begin fulling - stroking, washing, throwing - all these actions helps fibers to get through the fabric, surface of the silk side of your blanket becomes wrinkled,felted wool shrinks. 8. Rinse, dry and iron with a steam. 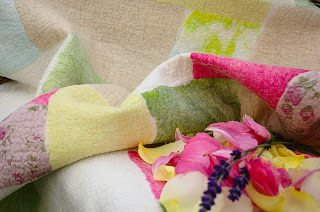 I wish you happy felting and great results! Thank you so much for the instructions. My best friend is having her baby this weekend. I wanted to make her something special and this will certainly be special. Could you please tell me how many squares you used and the sizes you cut them. I am trying to figure out the dement ions you worked with and how much shrinkage will acure. Thank you so much!